In project-based roles, where employees spend considerable time working on project teams, incorporating a performance review process helps organizations assess for performance within that project unit. 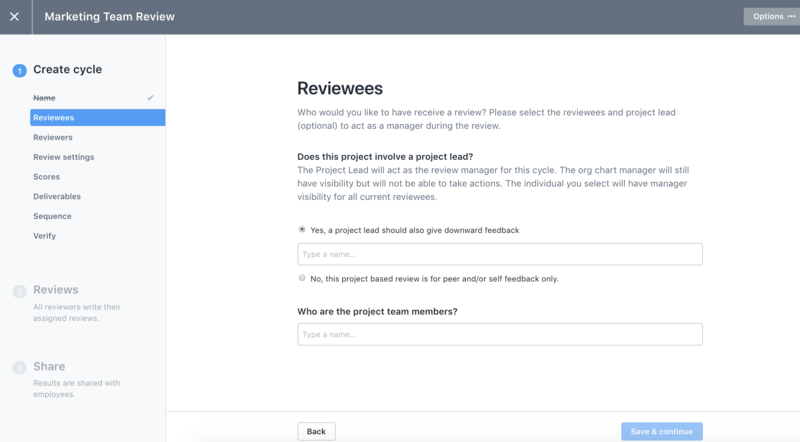 Lattice allows project teams to conduct insular performance review cycles, outside of the traditional reporting relationship framework. 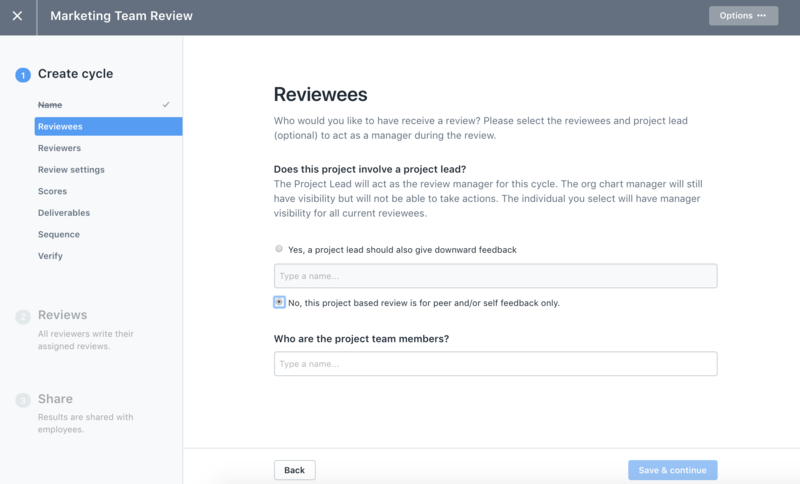 Step 3: Click to "Create new review"
Here, you will have the option to launch a classic style performance review, or a project-based review. 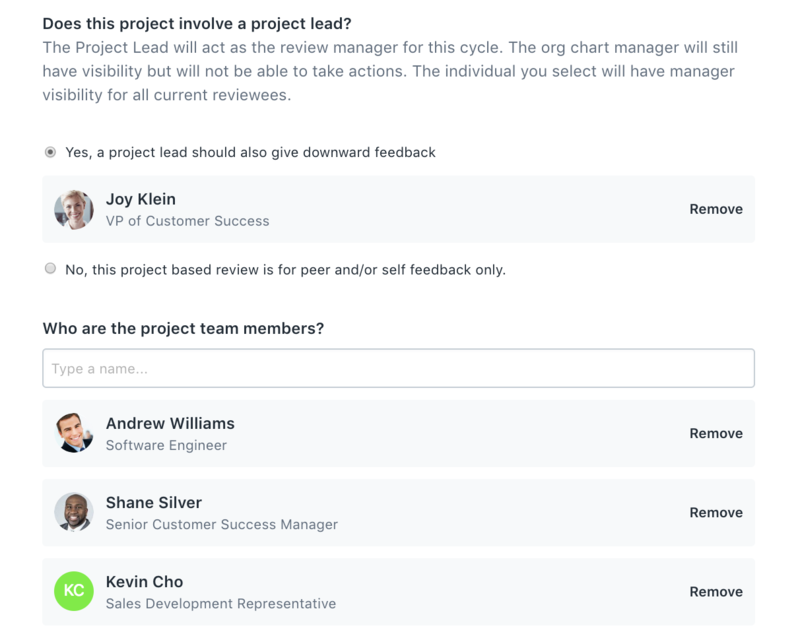 To set up this type of project-based review, search and select the team leader. Please note: This team leader will act as these team members manager in this review cycle. 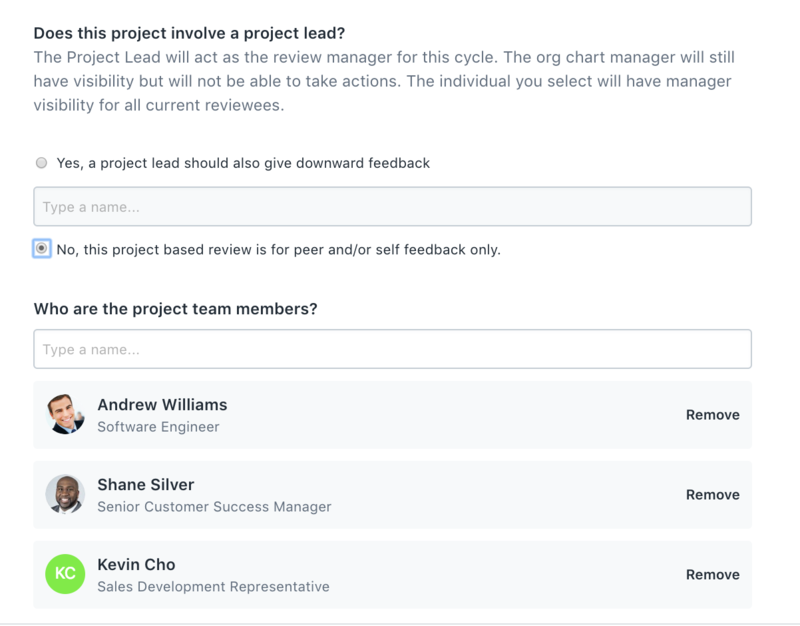 The org chart manager for each team member will still have visibility into the review for their direct report, but they will not be able to take action. The individual you select as the team lead will have also have manager visibility for all current Reviewees. Then, add all of the project team members. Team members each review each other (peer feedback). 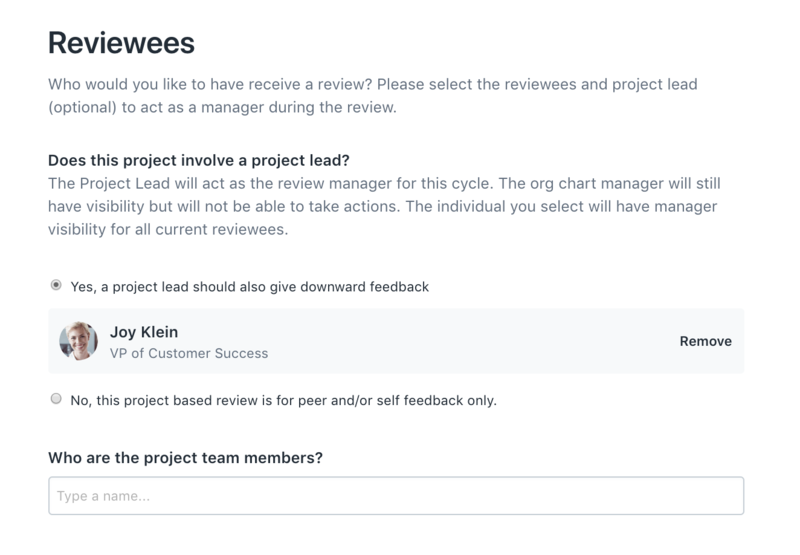 To set up this type of review cycle, select "No, this project based review is for peer and/or self feedback only" and then add all team members. Then, add all team members. The next stages of project-based review cycle set up is very similar to that of the classic review cycle! All you have to do is select templates, choose what you want to share with each team member in the review packet (Deliverables), and if you want the review cycle to be on a custom or timeline sequence. Please note: project-based reviews are insular. Additional peer reviewers cannot be added.